Flipkart could soon negate the biggest advantage Amazon has over it own offerings — video streaming. Flipkart is in talks to acquire a stake in Hotstar, Mint reported. The talks are still at a preliminary stage, sources said. Mint wasn’t able to immediately ascertain what sort of a stake would Flipkart be looking to acquire in the video streaming service. While there isn’t any certainty yet over whether the deal will go through, Flipkart and Hotstar have been making overtures towards each other in the recent past. In September last year, Flipkart had offered a discounted Hotstar subscription with Festive Pass, which seemed to be an early experiment to take on Amazon Prime. Subscribers of the Festive Pass got 10% discounts on their Flipkart purchases and free deliveries, along with offers MakeMyTrip and Gaana.com. The biggest draw, though was a discounted three-month subscription that came bundled with the pass. 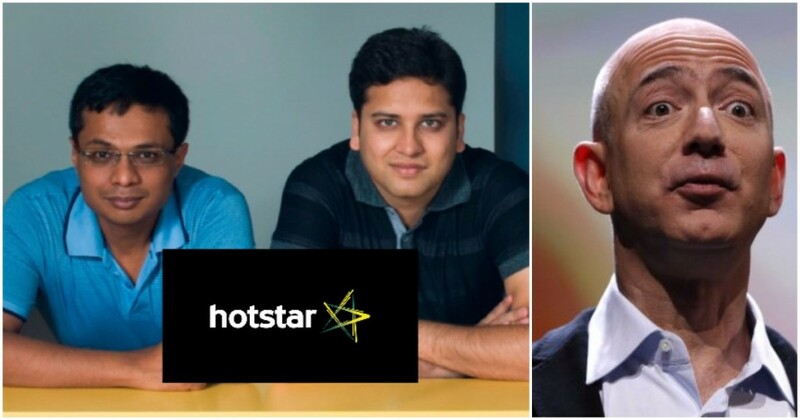 While the Festive Pass experiment was short-lived — it had been rolled out to select Flipkart customers, and was never eventually opened to the general public — there have been other collaborations between Flipkart and Hotstar since then. In July, Flipkart and Hotstar had jointly announced a new video ad platform called Shopper Audience Network. Developed by Flipkart, the platform would use data gathered through customer purchases on Flipkart to show video ads on Hotstar. Flipkart has the purchasing history of millions of Indian customers, and can use this data to serve more targeted ads to the same customers when they’re watching videos on Hotstar. This had seemed like a fairly deep collaboration — Flipkart would essentially be sharing its customer data with Hotstar, and help it serve better ads. Given how sharing data between companies is a huge no-no these days, it’s possible that Flipkart and Hotstar have something bigger in mind. Flipkart now has the backing of Walmart, has more than enough financial firepower to acquire a stake in Hotstar. Hotstar, which is owned by Star, is only valued at $265 million as of last month, and Flipkart could end up acquiring a substantial stake in the company for fairly cheap. It would be a clever strategic move — the biggest advantage that Amazon has over Flipkart at the moment seems to be Amazon Prime. Flipkart can recreate most features of Amazon Prime, like faster deliveries and discounts, with some investments and improvement in logistics. But it would be expensive and time consuming for it to create a video streaming servic from scratch — Flipkart would need to collaborate with producers, acquire streaming rights, and then create original content. Instead, it would be much simpler to acquire a stake in an existing video streaming company that already competes with Amazon Prime Video. While the talks appear to still be preliminary, there are enough hints that Flipkart could indeed pick up a stake in Hotstar and plug a significant gap in its portfolio. While rumours of mergers and stake sales are never in short supply within India’s startup ecosystem, it wouldn’t be surprising if this one actually does goes through.